Last April, I finally decided to have my brows tattooed after several years of struggling with almost bald brows. I figured that by doing so, I could save a lot of preparation time when going out, since doing my brows took 20 to 30 minutes tops. Making the decision was not easy, as I am not very tolerant to pain and dreaded the thought of a needle penetrating through my skin repeatedly; I just wouldn’t be able to take all that blood, I thought. So before setting up a schedule for my permanent eyebrow procedure, I read several blog posts describing the its process and watched a gazillion of videos documenting the same, during which I stumbled upon the aesthetic institution where I had my brows made: Pretty Looks. Upon examining my brows, I was advised to avail of the 4D Cloning, which they told me, would look more natural on me, since I have very sparse brow hairs. I was also assured that the procedure would be almost painless and that I could still go malling afterwards (I told them I was planning to go to the mall after the procedure. Hehe.). The verdict? Well, true to what the therapist said, it was indeed almost painless. Thanks to the topical anesthesia they applied on my brows 30 minutes before the actual procedure, I almost didn’t feel any pain. If there was anything I felt during the tattoo process, it was that of someone drawing on my brows using a ballpoint pen, and that’s it. It was only after the process, when the effect of the anesthesia had subsided, that I felt a little pain. It was very minimal, perhaps like that of the scratch you get when you skin your knees or a part of your body – very tolerable. The wound also healed quickly, maybe because of the topical antibiotic they told me to put on the wound for two weeks. Actually, my wounds healed in less than two weeks, but of course I needed to follow what they advised me to do. I was also advised against putting any makeup product on my brows until medication time lapses. 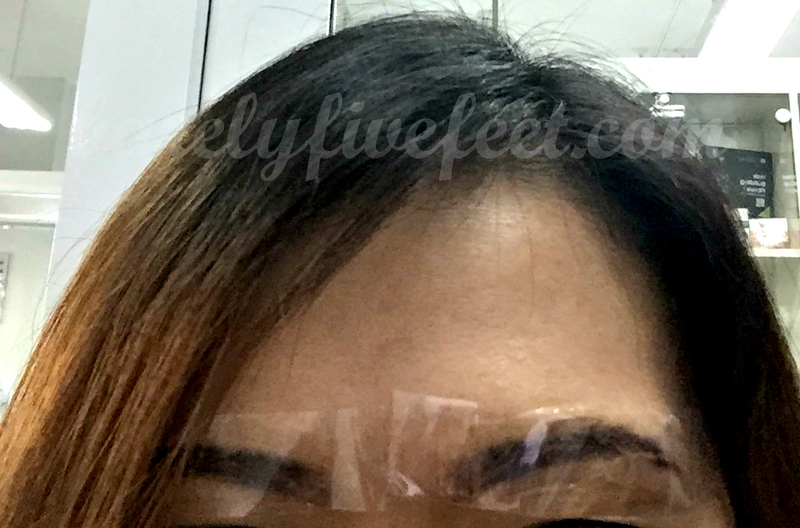 I was also informed that this procedure involved at least two sessions, depending on how the pigment would appear on my skin: the first one creates the base for the brows, while the second one intensifies the pigment. The first and second sessions must have at least a three-week interval. I had my second session after more than a month. 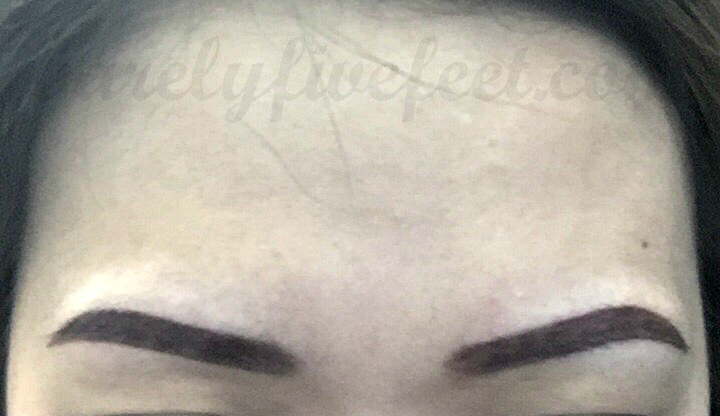 A third session is done for clients who want to have more intense pigmentation on their tattoos, but I was told that two sessions were enough for me, and looking at my brows now, I do agree with them. Four days after the first session. This was after the scar tissue had peeled off. My brows taken last week, 6 weeks after the second session. Notice that the pigment looks natural, unlike other brow tattoos that look too harsh or too artificial. So am I satisfied with my permanent brows? If I could give you a million yes-es, I would. A lot of good things came with my permanent brows: My prep time has now been cut short by the 20 to 30 minutes that was once devoted to my eyebrows. I now can also go out of the house instantly. Before, you would not be able to make me go out of the house impromptu, as I’d have to make sure that I had brows. Now, I can face strangers even if I have just woken up. Lastly, I can now have my photos taken during swimming or surfing trips or any activity involving a lot of sweat or getting my face wet, knowing that people won’t mistake me for a brow-less alien anymore. Pretty Looks brow services range from Php5,000 to Php18,000 depending on the type of procedure and level of expertise of the therapist (My therapist, Jana, is one of their best ones. 🙂 ) You may visit their site by clicking here. Oh my gosh!! Wow! They look awesome! If you don’t mind me asking was it extremely expensive? I have 0 brows and would love to do this! They look phenomenal on you! Hi, Christina! Where I had it, the price range is from $120 to $450. In another center, it costs around $900. It really depends on the aesthetic institution you have it done. The cheap ones offer it for less than $100, but the quality is not good. In my case, I can say it is worth it. 😊 Where do you live? After 2 sessions, are you still required to go back to them? Do you think you’ll be needing that? where did you get it done? is the price the same in ortigas and BGC? I heard eyebrow tattoing is painful. What is the assurance that it is tolerable. I want the best procedure of eyebrow tatto. What do u recommend? How much? I’m from Taytay. What is the nearest Pretty looks Center and telephone number. ent is for 3 session or you need to pay 5k everytime you go on your session? Thank you . 2 sessions are included in the payment. Usually, 2 sessions are enough, like in my case, I didn’t need the 3rd session. In case you may need another retouch, I believe it’s 1k per retouch. Hi Ems! Thanks for this blog. I was advised by my colleague to ask for senior artists / owner to do the procedure but it’s double the price. Do you think it will be okay to just go with their regular artists or pay double for senior artists? Thanks! My brows at pretty looks didnt look good. First my brows were shaved at the end without asking. I was hoping it would be drawn first and my approval would be asked. Next the ink looked blue/black snd not the reddish brown color i asked for. So i still have to cover it up with eyebrow makeup. Hello! It’s sort of permanent. It will fade but not completely. I did have mine retouched after a year and a half just because I wanted them to look fuller. Retouch costs 1k for Reborn and 4D procedures and 3k for S3 Stranding and is free if you have it done at most one year after your first session. Hello. What is the difference between Reborn the the newer procedures? I am interested to have the korean style eyebrows. I wonder if they do it? Sorry for taking so long to reply. Reborn is their oldest procedure. It’s the traditional brow tattoo we’ve all known. 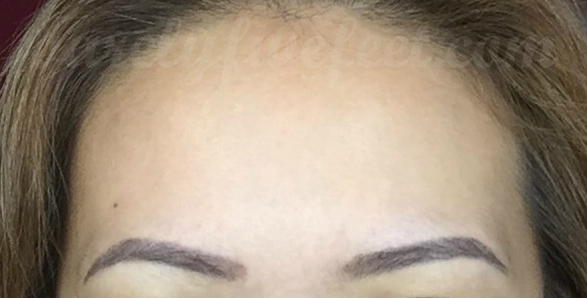 The newer ones involve microblading and techniques that mimic brow hairs instead of merely drawing the brows. Do you have any idea how much is their lip tattoo service? OMG. I’m so sorry for not being able to reply! Their lip tint costs 15k if done by a junior artist and 20k if done by a senior. Hi. Which branch did u have your brow done? I love the final finish it looks so narural.